Chicago Fire Academy goalkeeper Damian Las has been called up to the U-17 U.S. Men's National Team for the 2019 Concacaf U-17 Championship. Set to occur from May 1-16, the 2019 Concacaf U-17 Championship will be held at IMG Academy in Bradenton, Fla. The Chicago Fire will play two games in five days this week, as the team embarks on its first three-game road swing of the 2019 MLS campaign. On Wednesday, April 24, the Fire will face New York City FC at Yankee Stadium at 6:00 p.m. CT (ESPN+, Univision Radio WRTO AM 1200). Following Wednesday’s match, the Men in Red will head north of the border to take on the Montreal Impact at Stade Saputo at 11:30 a.m. CT at Stade Saputo (ESPN+, Univision Radio 93.5 Latino Mix). The Chicago Fire Soccer Club (2-2-3, 9 points) recorded a strong 4-1 win over the Colorado Rapids (0-6-2, 2 points) at SeatGeek Stadium on Saturday afternoon, extending its unbeaten run to four games. Four different players scored in the win for the Men in Red, including forward Nemanja Nikolić and midfielders Aleksandar Katai, Djordje Mihailović and CJ Sapong. The Gary SouthShore RailCats signed outfielder Evan Marzilli and infielder Marcus Mooney to their first Independent Professional Baseball (IPBF) contracts on Friday. 2019 marks Marzilli’s eighth season of professional baseball and Mooney’s fourth. 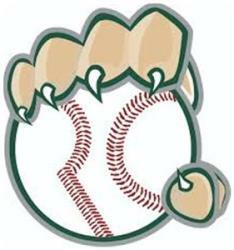 The Gary SouthShore RailCats announced the re-signing of left-handed pitcher Lars Liguori on Thursday. 2019 marks Liguori’s sixth season of professional baseball and third with Gary. The Chicago Fire Soccer Club announced today that the Club has signed Academy Technical Director Cedric Cattenoy to a three-year contract extension. The 2019 campaign will mark Cattenoy’s fourth season with the Club. The Gary SouthShore RailCats announced the signing of veteran right-handed pitcher Duke von Schamann on Monday. 2019 will be von Schamann’s eighth season of professional baseball and fourth at the Independent level. The Chicago Fire Soccer Club announced today that defender Raheem Edwards has been placed on the Disabled List after being diagnosed with a second degree Lateral Collateral Ligament (LCL) sprain. With Opening Day on the horizon, the Schaumburg Boomers are excited to release a fun-filled 2019 promotion schedule that not only pleases local fandoms, but also highlights many not-for-profit organizations. The Gary SouthShore RailCats announced the signing of veteran switch-hitting outfielder Edgar Corcino on Thursday. 2019 will be Corcino’s 11th season of professional baseball and third at the Independent level.